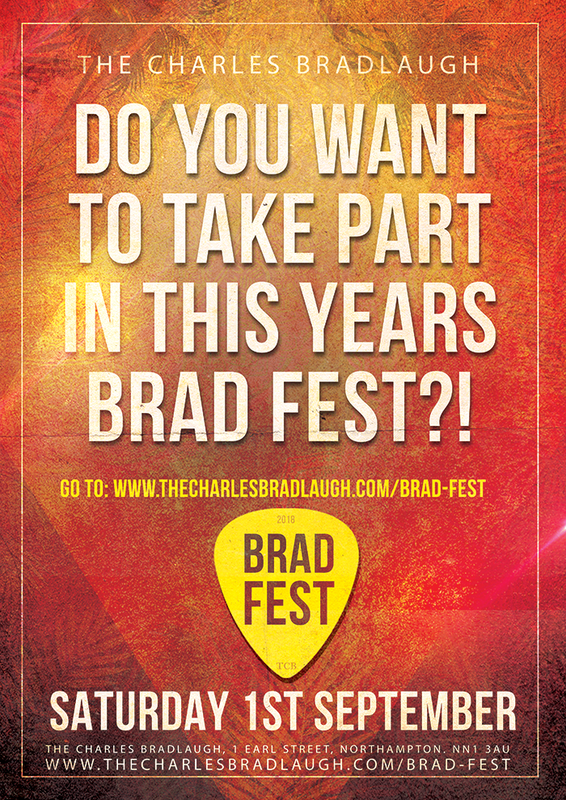 We're looking for bands/artists to take part in this years Brad Fest on Saturday 1st September. Brad Fest is a day of live music showcasing the best of Northampton's music scene. We have two stages with a full line up throughout the day, followed by a DJ act in that will go on to the early hours! If you are interested to play - please fill in your details in the below contact form, and we'll be in touch! Please give us a link to your bands/act website and/or social media, whichever has audio and /or video footage.